Svetya, Orene to Kosul is the newest addition to Eternal, and she takes no prisoners. By playing her, you’ve guaranteed a turn safe from any spell or weapon, which is perfect if you are worried about Harsh Rule, Slay, Auric Runehammer, or anything else. Let’s take a look at a few ways to build Svetya the army she deserves. Pairing Svetya with aggressive units and cheap interaction is a beating for any deck relying on expensive spells, and has plenty of game against unit-based decks as well. Daring Pioneer, Svetya, Kosul Brigade and Hammer of Might give you a lot of stats to play with, and Svetya’s ability mitigates much of the risk of committing so many resources to the board. If you manage to hit Charge on Tranquil Scholar, you could even get multiple turns of attacks with Svetya before the opponent can respond, and Permafrost and Finest Hour are ready to push her past any unit opposition you encounter. Pairing Svetya with another faction pays dividends as well, as she fits quite nicely into a TJP shell that loves having additional Harsh Rule protection. 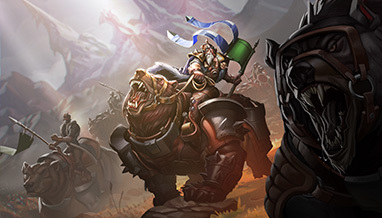 This deck is not short on threats, and reinforces Svetya with a ton of other resilient units. Between Aegis and Svetya, the opponent will have a hard time if they are relying on removal spells, and this deck packs Equivocate and Vanquish to clear out any units that stand in your way. This deck also has some nice ways to buff your team, as Svetya makes that much more appealing. Accelerate Evolution and Vodakhan’s Staff both make any of your units into must-kill threats, and luckily for you, many of those units don’t kill easily. There are a ton of ways to use Svetya, and many decks that are interested in her effect (plus new ones that can be built around her). This is but a starting point – how will you harness her powers?